Normally, the LED light on the router turns orange for the first 20 seconds or more when you boot it up. But if that orange light stays on after more than 3 minutes, then that should mean only bad news. And by bad news, I mean not any of your devices can connect to the internet. So how do you fix orange light on router? Internet Service Provider (ISP) is acting up. Probably the easiest to fix among those issues is the ISP problem as they should be taken care of with just a phone call. The other three problems are a bit complicated and might need some little knowledge with hardware servicing and network handling. But that’s what this article is about. We will teach you how to fix it in the easiest way possible. Before we start, if you have not tried unplugging the LAN cable connecting the modem and router, please do so first. Sometimes it could be just a loose connection between the two devices and can be fixed with a simple plug out and plug in. Now, if that did not work, let’s continue. First thing is to make sure that your router is really not at fault due to some temporary issues such as froze software or overheating issue. Turn off the router and wait for 30 seconds before turning it back on again. If the router shows a normal yellow or white steady LED light then your problem is already fixed. See if you can connect to the internet again this time. But if it still turns orange then let’s continue with the procedure. Look for the reset button and press on it for 10 seconds before letting go. The device should now reboot and will turn the settings back to its factory default. Let the router fully boot. This will take about 3-5 minutes depending on your routers hardware and software speed. 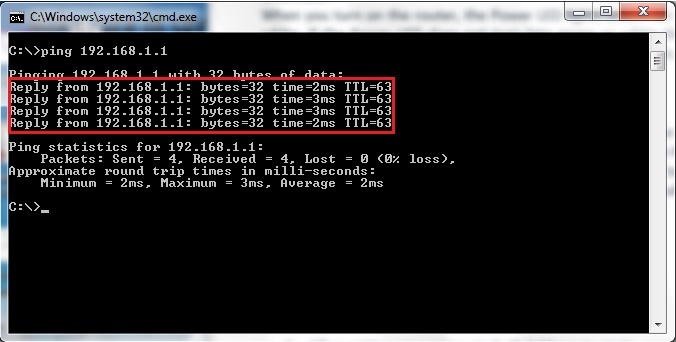 Now, when the router is fully on, go to your Windows PC or laptop and open the Ethernet properties. It should be like this Control Panel > Network and Sharing Center > Change Adapter Settings > Ethernet or Local Area Connection > Properties > TCP IPv4 > Properties then click Use the following IP Address to manually enter the router’s IP address. Type in the IP address bar the 192.168.1.10, then Subnet Mask as 255.255.255.0. And the Default Gateway as 192.168.l.l, then click OK. The next thing to do is to press Win+R to lunch up the RUN window and type in CMD to open command window. On the command window, type ping http://192.168.l.l /t then hit ENTER. If you get a response then there is nothing wrong with the router. You should check on your web browser if you can now connect to the internet. If it still unable to establish an internet connection, you should check your ISP by calling their customer service representative. 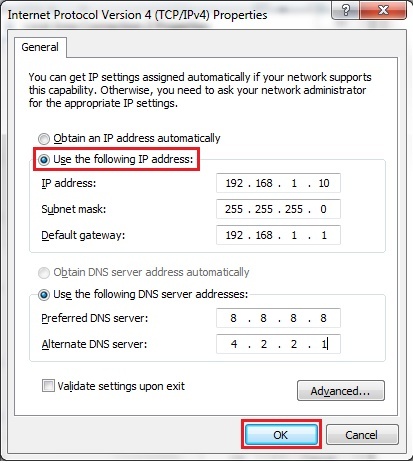 Don’t forget to put back the settings of your IP address to normal by doing the step 5 again but this time tick it back to Obtain an IP Address Automatically. Press OK and it should be back to the previous setup. 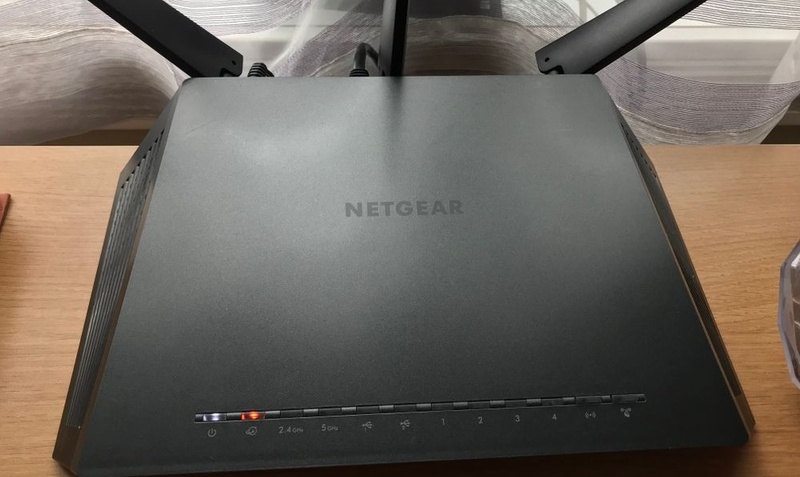 This method is old school but it is one of the most popular methods out there because it clears the data that was added to the router before it was first used. Make sure that the router is turned on. Now press the reset button for full 30 seconds. After 30 seconds, plug out the power of the router while still pressing the reset button. Wait for another 30 seconds. When 30-seconds time is up, plug back in the router. Yes, your hand should still be on the reset button and still pressed and not letting go. Wait for another 30 seconds before finally letting go of the button. It should now get your router back on track. You may test it by connecting your device to the internet using your web browser. Again, do not forget to bring back the settings of your computer for changes you made trying to fix orange light on router issue. Otherwise, even if your router is fixed, you still won’t be able to connect to the internet because you are using an invalid IP address or DNS. If you have other questions regarding this method, feel free to leave your queries in the comment section below. We will try to respond to them as soon as possible. And do not forget to share this post if this has been a great help for you so more people could benefit from this article.